But things have picked up quickly for Isabella since the All Stars finale. Currently, he has a new restaurant in the works, and he's just announced a new cookbook deal as well. Isabella's new venture is Graffiato, an Italian-inspired restaurant that will serve seasonal, artisanal pizzas and small plates. He plans to put his former experience in Greek cuisine to good use, but not in a traditional way. Recipes at Graffiato will include veal cheeks parmigiano, roasted potato gnocchi, bone marrow with cured lemon, and fresh-stretched mozzarella with spiced red beets & pork fried almonds. All meals will be sourced domestically and locally if possible. Additionally, Isabella has just signed a deal for a new cookbook titled, Flavors From A Jersey Italian. In his book, Isabella will draw inspiration from his hometown in New Jersey combined with his Italian heritage. 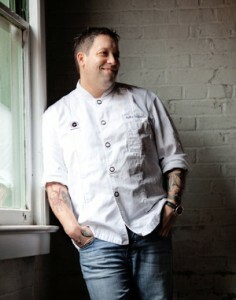 Recipes will be Mediterranean in style, yet may be a bit closer to home than the fare patrons would find at Graffiato. Graffiato is scheduled for its grand opening during the spring of 2011 (i.e. any day now). It is located on 6th Street in Washington, D.C. Flavors From A Jersey Italian is scheduled to be published by Da Capo Lifelong Books in the fall of 2012.